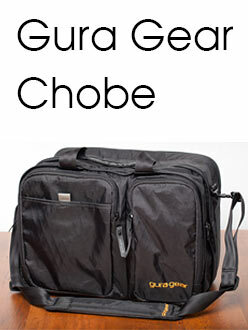 Gura Gear Chobe Review - Best Photography Shoulder Bag? 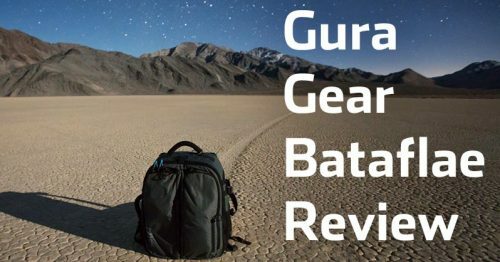 Gura Gear acquired the Tamrac brand and merged the two together. 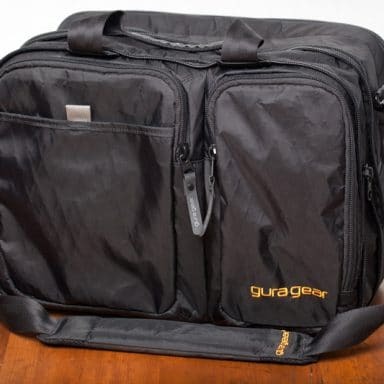 Gura Gear as a standalone brand is gone, and all of their bags have been renamed to be sold under the Tamrac name in the G-Elite collection. Aside from small aesthetic changes to use the Tamrac logo, the bags have mostly remained the same where still available. 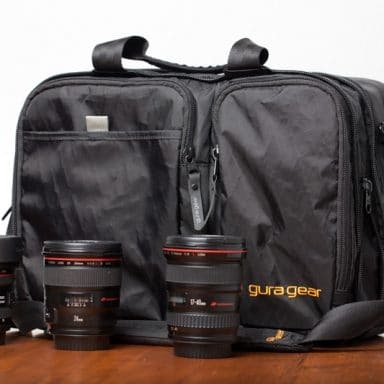 Throughout this review I have used the name Gura Gear, but when searching for more info on these products, or searching to buy them, you should now search for the Tamrac G-Elite bags instead. As a photographer, travel is often an essential part of the job, certainly for me it is. 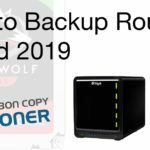 Getting your equipment to and from your location safely and easily can take a little bit of trial and error, particularly when it comes to finding the right bag. 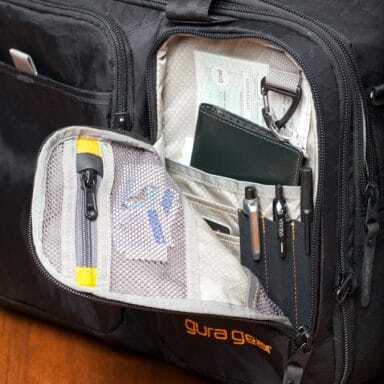 The Gura Gear Chobe shoulder bag has been my travel bag of choice since its launch and this one has traveled the world with, not that you’d know to look at it. Its comfortable, thoughtful, discrete and stylish. 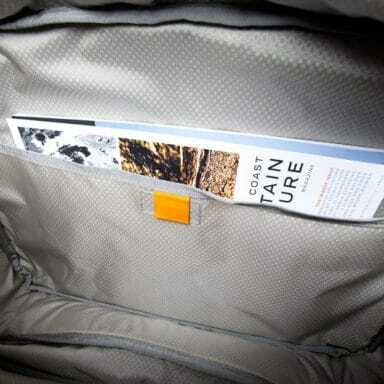 Read on to find out more about my favorite travel companion. 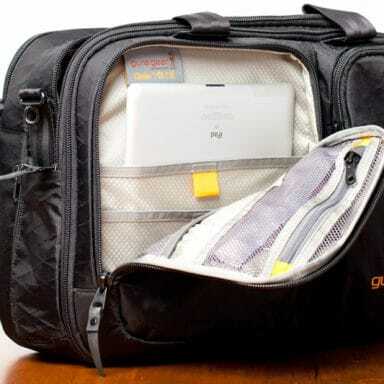 I’ve been using this bag now since its initial launch, probably a year and a half ago by now and it’s become my only definite travel companion when it comes to carry-on luggage. 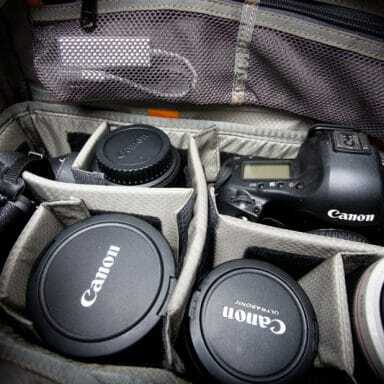 My second bag varies depending on what location I’m visiting and what equipment I’m taking with me but the one guaranteed thing is that my Chobe will be by my side. 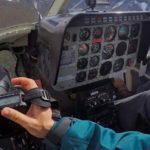 As airlines continue to cut down on the allowable luggage for both check-in and carry-on, it becomes increasingly necessary to carefully consider what you will pack for a trip. 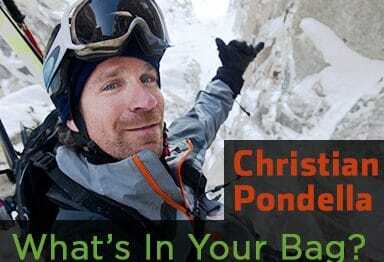 The biggest loophole that you can use at the moment is your second item, your ‘personal item’. 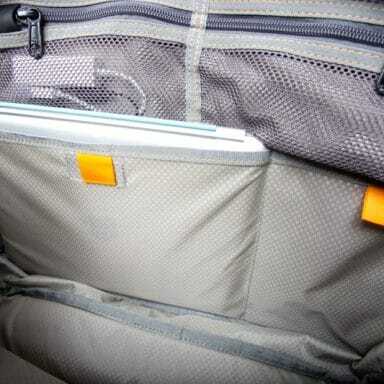 In almost all cases this item gets far less scrutiny that your other bag, especially if your other bag is a roller. 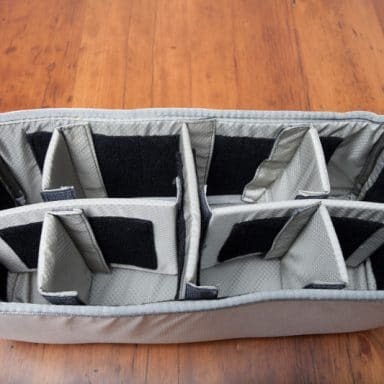 Most airlines offer generous dimensions for a ‘personal item’ like a laptop case even though my laptop is an 11″ Macbook Air that frankly gets swallowed up in the Chobe! 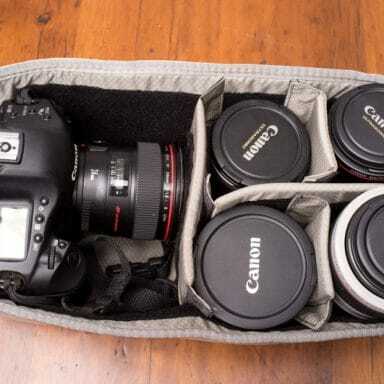 This leaves you will a lot of extra room in this bag for all the other travel necessities and even more camera gear. 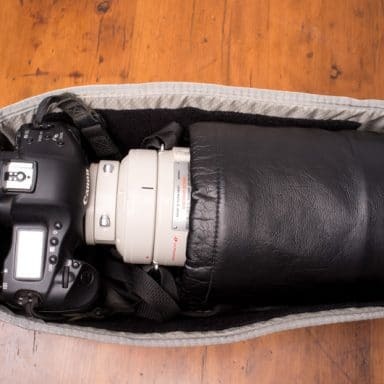 Yes as you can see in the gallery below you can easily carry even a 300mm f2.8 in this bag with camera and laptop. 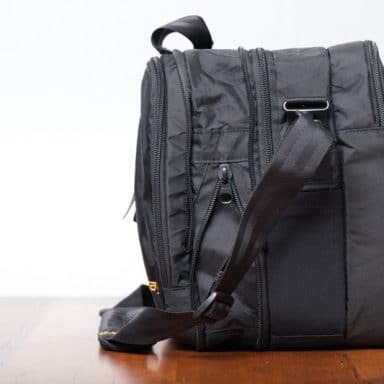 The bag was designed with both the traveler and the photographer in mind in equal parts. 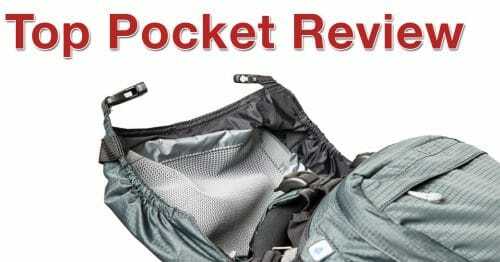 There are handy pockets for your passport and paperwork on the front of the bag as well as a pocket for your iPad of other eReader device which have become such staple components of many frequent flyers travel bags. 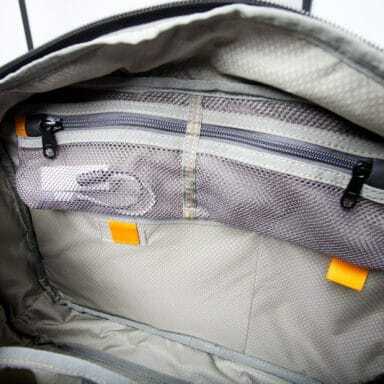 Spots for your business cards, car keys and stationary items are also neatly segregated on the front of the bag, kept neatly away from all your main equipment. 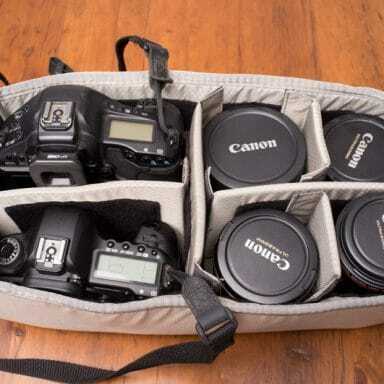 A zippered expansion system allows you to add extra volume to the bag and using the optional photo gear insert provides ample padding for lots of gear. I often travel without the insert though as some small planes will not fit the Chobe under the seat in front of you with the insert in it. 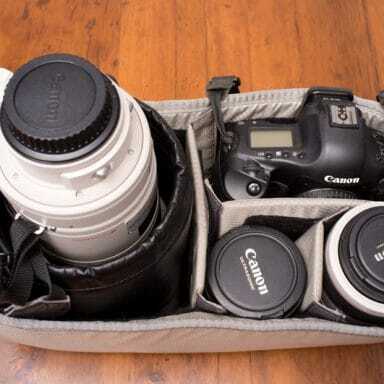 The bag doesn’t just stop at being a good photo bag though and I use it on all my weekend trips or business meetings as well. 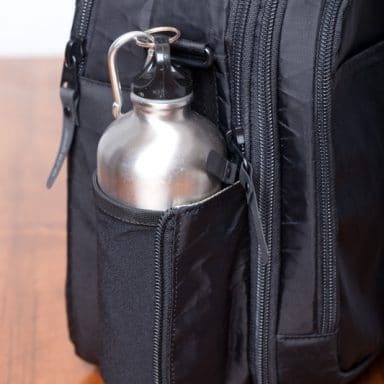 It will comfortably hold a change of clothing and a spare pair of shoes along with your laptop for a quick overnight trip. The expansion comes into its own again when I have to visit my accountant with a huge stack of binders ! 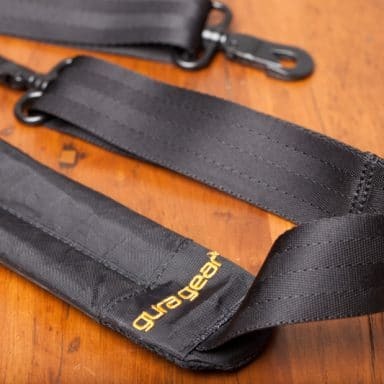 There’s very little to complain about with the Gura Gear Chobe but the one thing I did have to do was replace the shoulder strap. 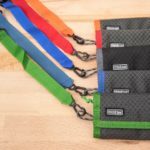 I felt that it didn’t offer the comfort that I needed on a longer day with a heavy camera setup in the bag so I replaced it with a much wider neoprene strap from Custom SLR which has been great. Due to the incredibly high quality of the materials used in the construction of the bag it is barely showing any signs of age despite the weeks or months of travel abuse I’ve thrown at it. 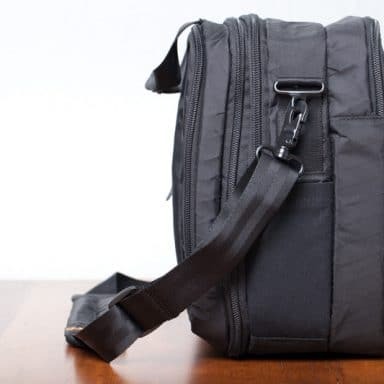 Whilst it is not the cheapest option for a shoulder bag, it’s by far and away the best solution I have come across and I think it will be with me for many years to come. 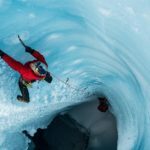 My preference if I can is always to deal directly with manufacturers of products so I would highly recommend buying directly from Gura Gear. That way if you ever experience any issue with the product you can deal with it far more easily. 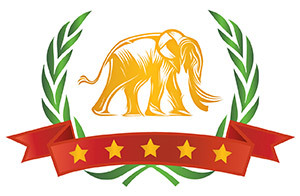 If you have to, you can also purchase the Chobe from Amazon and B&H Photo as well though.